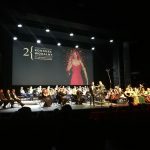 The Jury of the 2nd International Antonina Campi Vocal Competition qualified eight people to the final stage: Marta Gamrot-Wrzoł, Joanna Kędzior, Viktoriia Melnyk (Ukraina), Natalia Rubiś, Agnes Thorsteins (Islandia), Anna Thun, Paweł Trojak and Magdalena Wachowska. 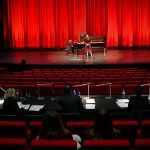 The Competition Final, in which the soloists will be accompanied by the Beethoven Academy Orchestra conducted by Maestro José Maria Florêncio, will take place on Friday (8 March) on 19:00 at the Opera Hall of the Centre for the Meeting of Cultures in Lublin. Feel invited to join us there.